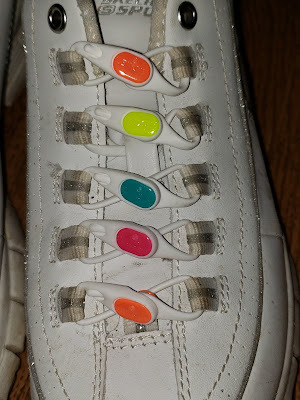 HICKIES, Inc. Review by Freebies For Friends | No More Tying Shoes when you have Hickies Lacing System! Parents, have you seen Hickies? If you haven't they are the coolest product on the market. My 8-year-old granddaughter just loves them! Kids shoes are notorious for constantly coming undone and either they have to stop and retie them or we the parents do. So what's the solution? Let me introduce you to Hickies! Hickies are no tie elastic shoelaces for kids and adults! Simply insert them once and never tie your shoelaces again. Just slip your foot in and out of your show. Easy Peasy. These are great for little ones so you don't have to keep tying their shoes. For the older kids like my granddaughter who is 8 and hates having to tie her shoes all day and often complains about it these work fantastic for her As you can see I put a pair in her shoes (excuse the dirty shoe she said they are dirty because she plays hard LOL) They will work great. Easy on and off! They are fantastic for athletes, runners, and other sports. Imagine never having to stop what you are doing and bend over or sit down to tie your shoe again! You do not have to have the laces straight across you can have them as classic, loops, you can tighten them in areas where the shoe is too loose or loosen them in areas that the shoe is too tight. 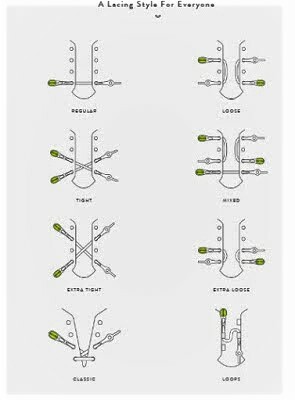 The laces come with instructions or you can go to their website to watch videos like the following. 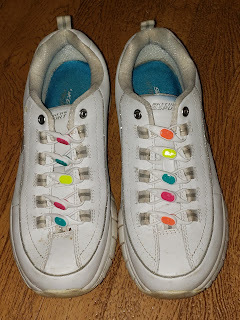 For my granddaughter's other pair of sneakers when we used the Hickies Regular Fit Lacing they were too tight so the beauty of the Hickies is you can change them to fit your need. 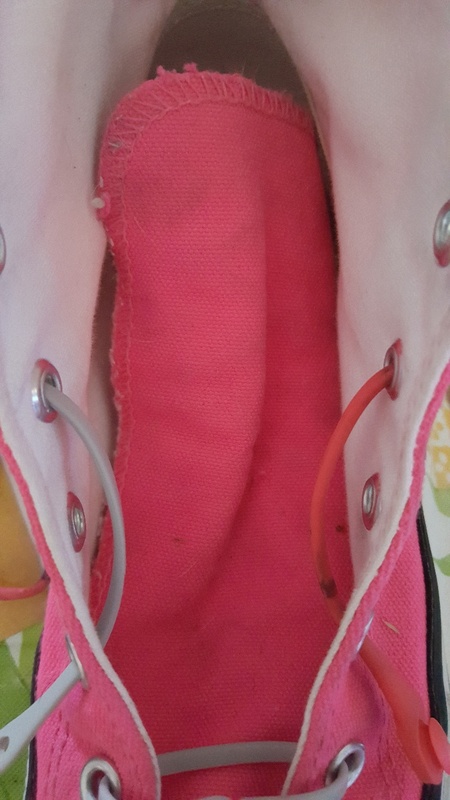 We used the method below for her pink sneakers.